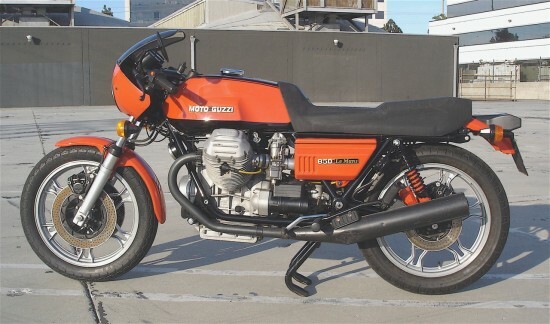 Update – the 1978 bike (Bike #1 below) is back on eBay. Links have been updated. If you missed it the first time around, this is your second chance! > his post here. Readers keen on understanding how the LeMans came to be should start here as required reading. 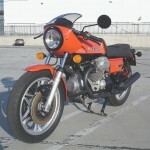 It is also another opportunity to contrast the same model year bike with these offered today. I am the third owner of this 850 LeMans, I bought the bike In Seattle Washington back in 1986 from a guy who had it less than a year, he in turn bought the bike from the original owner. 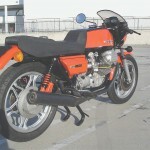 Legend had it at the time that the original owner purchased the bike from the factory in Italy with the performance upgrades intending to race the bike back in the states and had the bike shipped to Seattle. 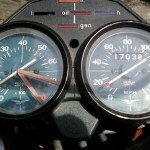 Don’t know if the bike was ever actually raced as it only had 3000 miles on it and was 7 years old when I acquired it. From 1986-94 I had the bike serviced by Dave Richardson of “Guzziology” fame (a copy of which I will include) at Moto International of Seattle. Shortly before moving to southern California I completed an extensive restoration on the bike and it has been stored and seen little use since, we’re talking less than 200 miles of use in the last 15 years. Bike has always been stored in a climate controlled garage. Here’s a list work performed at the time : new concours paint by Clyde Moslander, widely considered to be the best in the Pacific Northwest at the time (all PPG products, frame sprayed in Deltron pure polyurethane) Had the flywheel machine lightened, new clutch plates and all gearbox bearings and seals replaced. 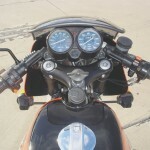 Also Dave Richardson confirmed at the time that the bike had a factory installed B-10 performance cam as evidenced by the factory applied green paint dot on the cam end. Rebuilt the Marzocchi AG Strada shocks (which are better than the factory shocks and period correct), replaced fork dampers, replaced regulator with modern Bosch electronic reg. Added Dyna III electronic ignition and Dyna double plug performance coils intending to have the heads double plugged-decided not to go through with it, the Dyna coils work fine with the stock single plugs and the new owner will have the option for this modification if desired. Added Telefix clip-ons and replaced the dodgy switchgear with universal (from Honda I think) Newly rebuilt brakes-master with new caliper alloy pistons/seals and stainless pins-bolts. New factory brake lines. Had the carbs rebuilt/re-jetted, new seals, springs and currently have Mallossi polished aluminum velocity stacks (also have original factory plastic, I will supply). I spent a fortune at the time replacing all exterior metric fasteners with stainless steel. Around 2003 I sourced a new old stock European spec. headlight and shell and nos. euro. spec. turn signals. 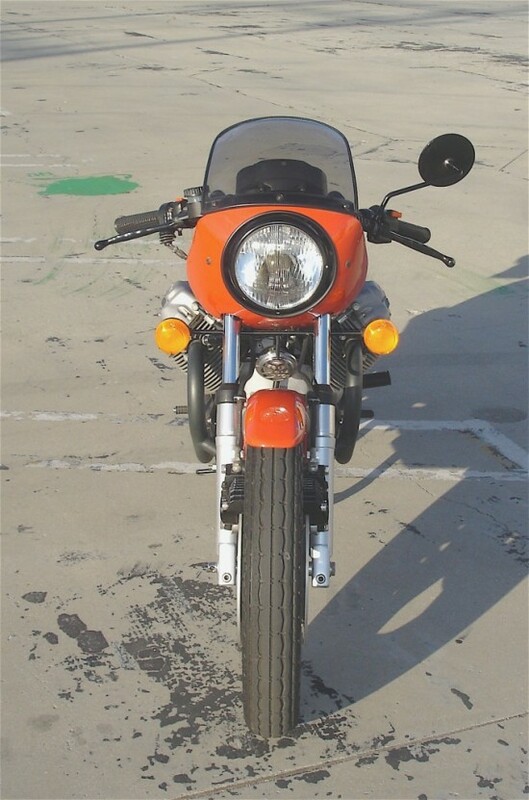 If you know about these bikes you know that the US version was supplied with a sealed beam headlight and bucket due to DOT regulations at the time. I always considered the US headlight ugly in the way it protruded out beyond the fairing, the Euro version is how the bike was designed and follows the lines of the “bikini” fairing. This may be the only 850 lemans in the States with the European spec headlight! This 850 Lemans is also shod in the original period correct Pirelli Phantom tires with at least 70% tread left (has the rarer no longer made ribbed pattern front tire) I also have an additional nos never used Pirelli Phantom front tire that I will include. And has a new Odyssey dry cell battery. As the details point out, the full resto-mod work performed by the seller was extensive and shows well. This bike was lucky enough to fall into a collector’s hands, and shows the attention to detail in all the photos. 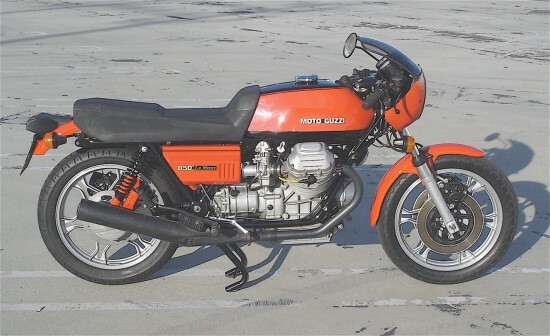 That is good news for Guzzi fans, as these 850 Mk1 bikes are certainly getting harder to find – much less in fantastic condition such as this! 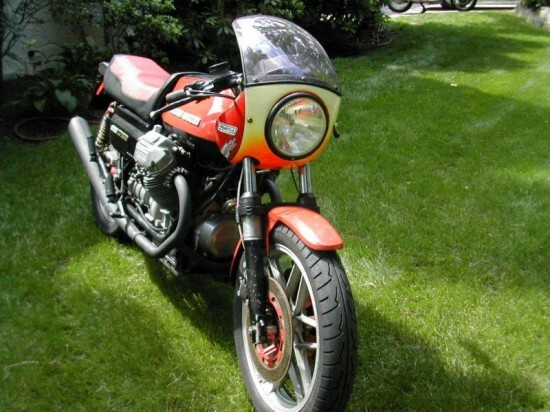 The asking price for a LeMans Mk1 bike is on the up and up. Basic rates start in the $4k range for a complete basket bike. 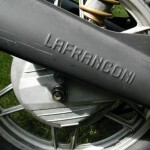 The cleaner the bike, the higher the price. Mods do add some value here, as these 850cc machines are great riders and anything that adds to the riding experience helps pad the price. In this case, the restoration, the paintwork and the general appearance of the machine indicates that it could very well bring top dollar at auction. The previous post by Tad (referenced earlier) was bid up to $10k without meeting the reserve. Can this bike do better?
. This is about as clean a LeMans 850 Mk1 as we’ve seen. 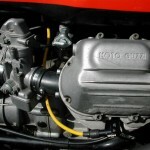 If you are into classic Guzzis, here is one you don’t want to miss! Up next is this 1977 model Mk1 bike. While it would appear to be in rougher shape than the bike above, one might instead say that it was loved no less, only differently. This is a bike that really can pique the interest of a collector – it is in the unknown that brings the thrill of discovery, and this particular bike has a bit of unknown to it. 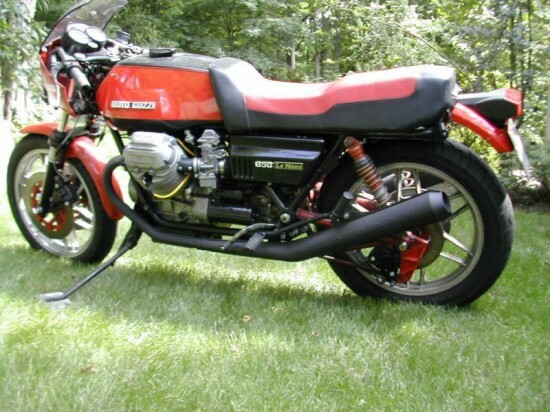 Up for your consideration is a 1977 Moto Guzzi LeMans series 1.I purchased this bike last year and had it shipped straight from the seller to Daytona for this years bike week.It had sat for awhile so I had everything done to it to make it roadworthy again. Some details…This engine has dual plug heads.It also has an after market swingarm with some pretty serious braceing on it.I’ll be honest and say Im not sure what else may have been done to the motor at one time or other but its pretty safe to say more work was done when the heads were done.Again,to be honest there is saftey wire here and there on the bike and one of the heads has damage and some chipped fins.The bikes been ridden but I had it totally checked out by my mechanic in Daytona and nothing is out of place or looks as if it needs to be replaced.A good guess would be this bike had a small fortune put into it back in the day by one of only a handful of people that did this specialized engine work. 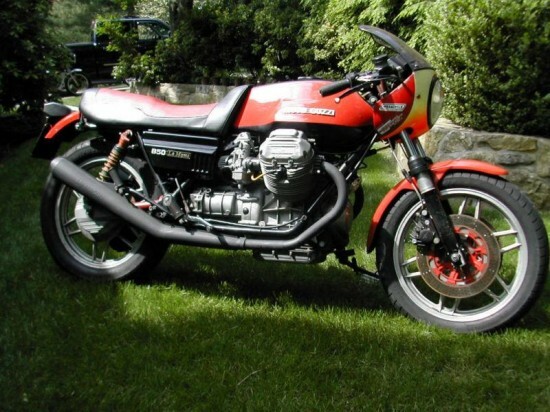 Through a little research,Ive found that the wheels on this bike match those on a V65.They are Guzzi wheels but not the stock snowflake style.Also ,in the interest of full disclosure the caliper arrangement on the front seems to be V65 as well.The VE (Lemans) vin prefix is on the frame and the engine. With obviously modified heads, as well as the Lafranconi exhaust, braced swingarm and underslung rear brake caliper, one wonders what has all gone into this bike. Sure, it may be a little raw in some ways (and certainly not as clinical as the previous bike above), but that just might be its appeal. This is the second or third-hand hot rod that could have been breathed upon by one of the greats. Then again, it might just be a well used LeMans that has been kicking around garages across the county. You decide.
! Look at both bikes, and tell us which one you are more interested in…and why. Good luck! Next story Seeing Double: a pair of Kenny Roberts Yamaha RZ350s!